You can convert any company file to a Mac version from a U.S. version of QuickBooks Pro, Premier, and Premier Accountant Edition for the same year as your version of QuickBooks for Mac or the two previous years. In other words, if you have QuickBooks for Mac 2019, you can convert your file from QuickBooks for Windows 2017, 2018, and 2019. 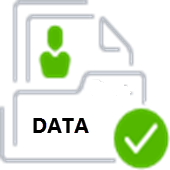 Before you start, be sure that you are familiar with what data is converted from QuickBooks for Windows to QuickBooks for Mac. Although Intuit has used reasonable efforts to include all features affected, Intuit disclaims that all features are included in these lists. 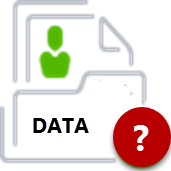 Be sure to compare the newly-converted data with the original data to learn what data was not converted. Important: QuickBooks for Mac does not support multiple currencies. Since accounts and balances are affected by the multiple and home currency settings, these settings cannot be changed in QuickBooks for Windows once they have been set. If you have used multiple currencies in your Windows company file, you will not be able to convert your data for use in QuickBooks for Mac. Any data if you have used multiple currencies in QuickBooks for Windows. The following preset reports are currently not supported by QuickBooks for Mac 2019. You can, however, create many of these reports using the customization, filtering, and memorization features in QuickBooks for Mac. The following report filters are currently not supported by QuickBooks for Mac. The balances of memorized reports that were created using these filters will not match balances in the original data file. I have a MacBook and have recently upgraded the operating system. I have waited to do so because i was using quickbooks 2014 and didn't want to lose important information for the business. I had no other choice but to update the OS so i can file taxes. With that being said, I also purchased QB 2019 and have lost every document, invoice, customer, etc for the last 5 years. This is information that we desperately need. Is there any way to open this information or to convert it over to QB 2019?